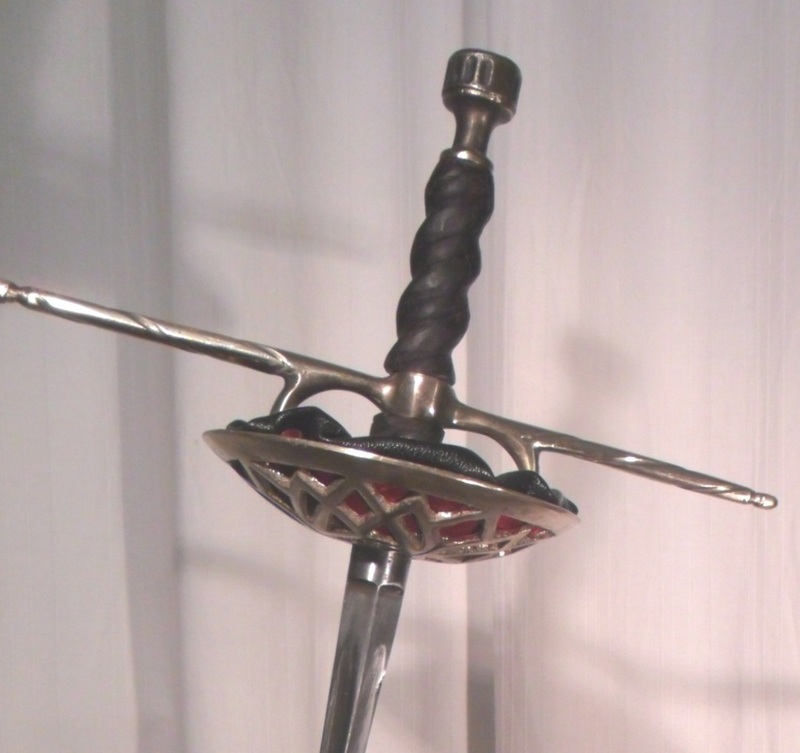 That is so one combatant can throw this weapon across the stage (hilt first) to his disarmed compatriot for a last minute save without the receiver having to negotiate a difficult catch. Other than that spectacular element, this weapon is one of my favourite for stage combat owing to the balance and the size and comfort of the ricasso. I usually include a little divit for my thumb to nestle into to make this sword one of the most comfortable weapons I have ever handled. She is now on sale at the introduction price of £150 and is well worth it. And here is one of our latest grips. 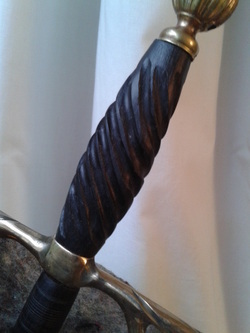 It is a hand carved piece of hardwood dyed black and waxed to seal the wood. I shortened the quillon on these weapons I built for Bath Spa University to make them more practical in the class room.